First, I must say that is quite a well written wine description! I have seen this wine at Costco for quite some time, it’s usually around $10. I am sceptical of wines that use unusual marketing and graphics to try to promote the wines. Maybe its some of those Big House Wines that sort of soured me on buying wines because they look cool. Yes, the wine is dark, its red wine, its Shiraz, pretty dark. It actually looks like dark pomegranate juice. The nose: The nose is a little intriguing, I can’t quite place the aromas. Sweet liquorice and sweet cigar is as close as I can figure, it’s pleasant. The Palate: Ripe blackcurrant, ripe blackberry, very ripe fruit on the edge of being too sweet, but I can handle it. Rich milk chocolate, and the spicy smoky oak is there too. Tannins are there, they’re strong, and they’re not soft or round, but they are well balanced. But then again, young tannic wine is not a problem for my palate. I reviewed Henry’s Drive Dead Letter Office a while back, and I was quite hard on them about it, so I wasn’t really looking to be wowed by a wine that is a half to a quarter of the price depending on where you buy it. But I was pleasantly surprised. At $10 a bottle , this could be a daily drinker for me. I know I like to drink mind blowing wines all the time, but my wallet and actually my palate can’t handle it. This wine would be perfect for newer wine drinkers. Wine drinkers that can handle the tannins in red wine, but not yet the earthiness, or dry spicy oakiness, or other features that are difficult to process when you are just getting into wine. 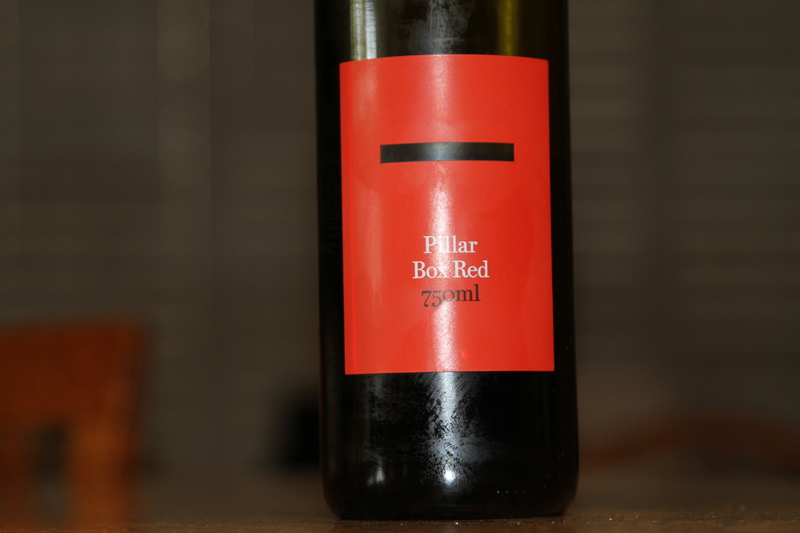 This is by no means a substandard one dimensional Shiraz, it’s far better than most especially at this price point. Overall, decent, I will buy it again. I’ve had this wine, Tim and felt about the same way. I wasn’t overwhelmed by it and it was a little sweet. At $10 from Australia for a Shiraz, it’s what I’d expect. Looking forward to the video camera action coming up. I also LOVED the post you did on Swirl Smell Slurp – good ninja skills! I agree, this is a good drinking wine, especially at $10 as well as with a larger dinner party/cocktails. Your posts on wines under $20 are great, such a big market for them! I feel your pain of loving outstanding wines, after moving away from home I no longer have the budget.